Gravastar is a sci-fi fantasy JRPG (Japanese-style Role Playing Game) for PC and consoles that combines a traditional JRPG aesthetic with a unique and fast-paced, turn-based battle system inspired by 2D arcade fighting games. The battle system in Gravastar is set apart from traditional turn-based JRPGs by its real-time button-combo input system. Alter the flow of battle, master your character's movesets, build enormous combos, and string together chains to dispatch your foes. Dev update: It's a new year and a new blog for Gravastar. I really wanted to make this dev blog a regular thing. I swear I did... and then I totally forgot about it. However, I've finally set a reminder for myself and will hopefully be updating this at least once a week. So, what has the Gravastar team been up to? 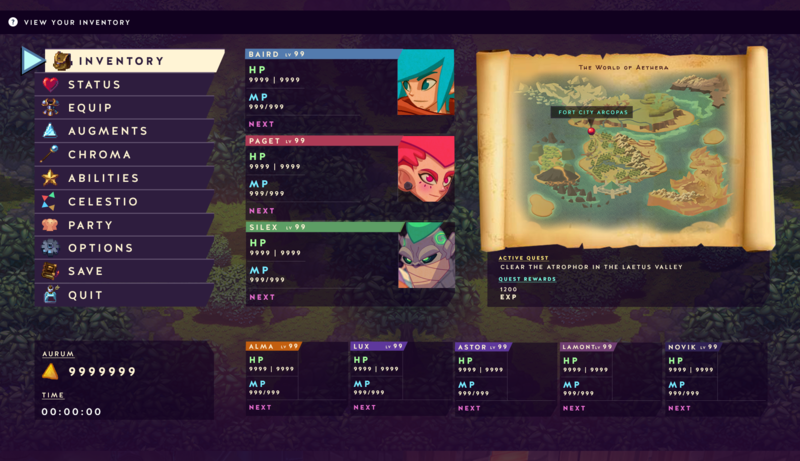 We've been working really hard on improving our overworld experience and adding interactable content. 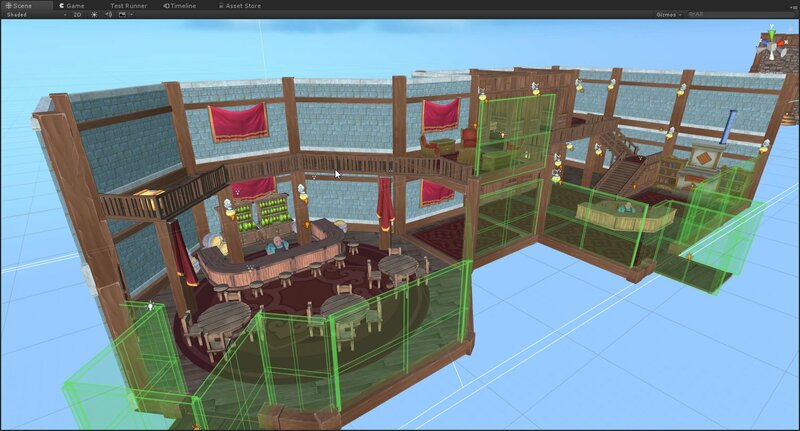 We have added building interiors, NPCs, new movement mechanics, among other things. Augments in the world of Aethera can be applied to weapons to enhance their abilities. These enhancements could deliver more power, or add certain breaking effects, or even apply elemental damage to your attacks. The Augmentor also has items for sale, sometimes even extremely rare items. He's also more than willing to craft specific items based on scrap technology you may come across. 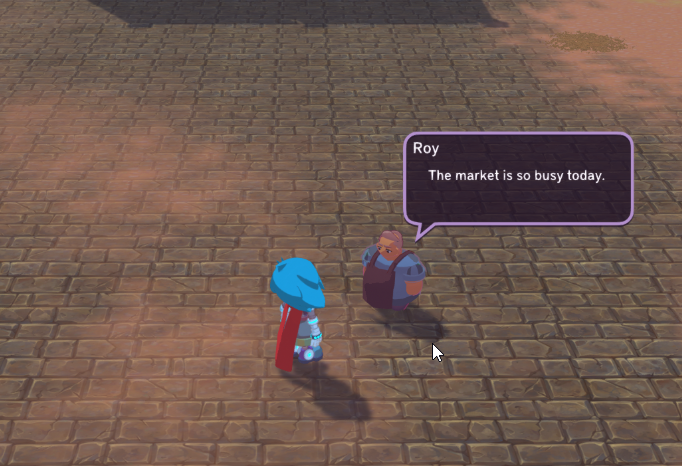 No JRPG would be complete without towns with market squares bustling with people. Currently our NPCs are just placeholder art to help us get a feel for how a town may look but we have big plans for filling our overworld with characters we hope players will love. On our recent dev stream we implemented some basic conversation functionality. 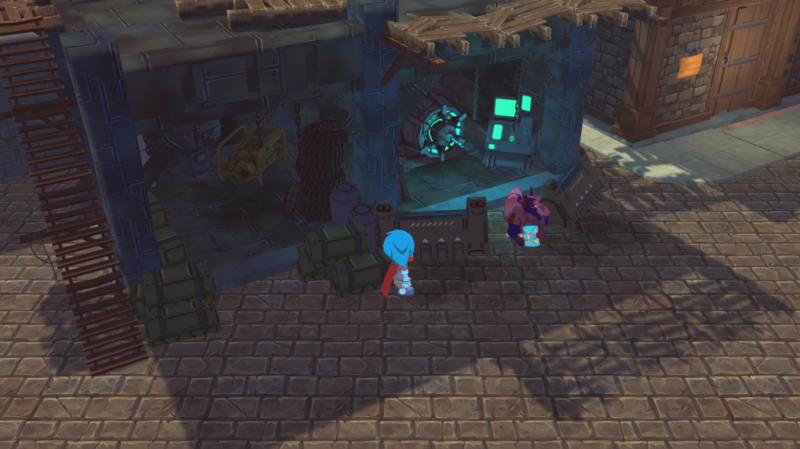 Baird can walk up to stationary or moving NPCs and get information from them about the town or the world at large or even just how they happen to feel that day. Small bits of conversation such as this help immerse the player in the world by giving a sense of character and backstory to each place they may come across. 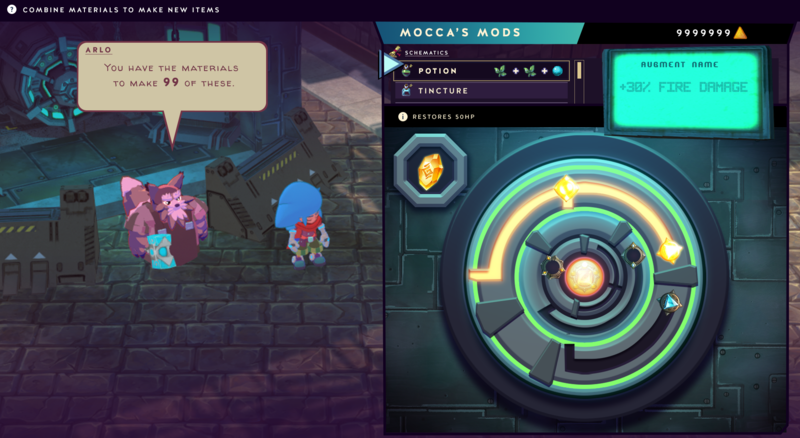 NPCs are an integral part to any JRPG and we want to make sure we get them right, giving a nod to our favorite older JRPGs while also trying to bring something more modern to the player experience. 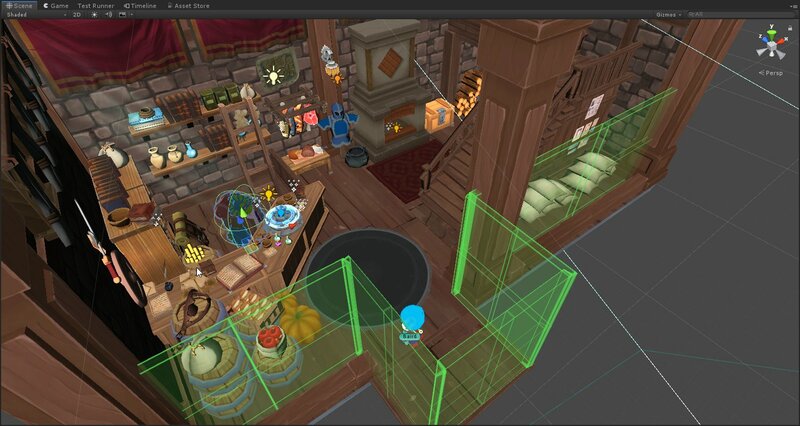 Our artist has been working extremely hard on creating UI for NPC interaction and our main menu. UI work, as I'm told, is not the easiest thing to get right but our works in progress are really starting to look amazing. You can't have a town without buildings. You can't have a JRPG without an inn. Where would you play that amazing music that is reminiscent of every JRPG ever made? We've begun adding building interiors that the player can enter, walk around in, interact with NPCs, and spend the night after a long hard day of adventuring. So far, we have two interiors for Fort City Arcopas, the latest town we've been designing. These are the first interiors we've designed for Gravastar. 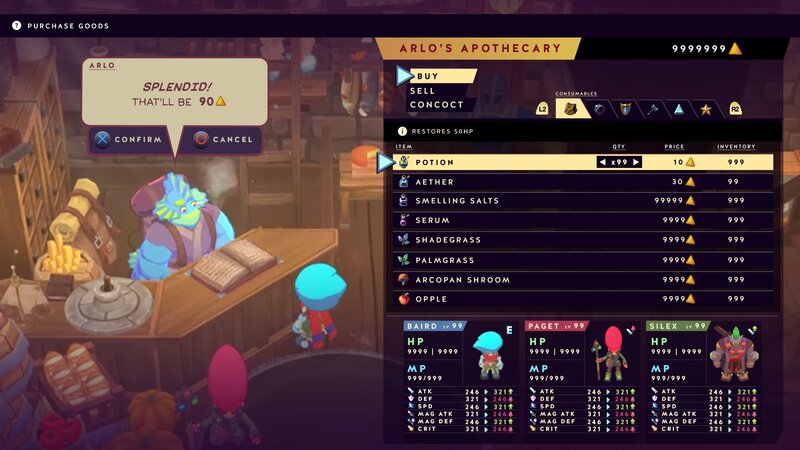 The Alchemist has a bit of a messy shop but you'll never know what you can find there. 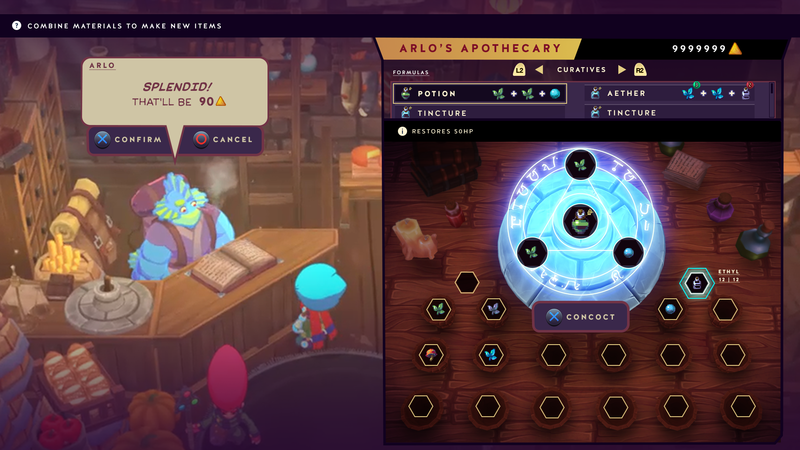 They're extremely knowledgeable about the flora of Aethera and can help provide you with items to keep you healthy and strong. The Inn is a place to rest and gather with the locals. There is a common gathering room downstairs and a few rooms for sleeping upstairs. These works in progress will help us learn and iterate on interiors and how we want them to feel in each town and outpost. If you'd like to see more please follow us on Twitch and Twitter!